Egypt has hailed the death sentences issued by an Iraqi court for two men convicted of assassinating its envoy to the country in 2005. 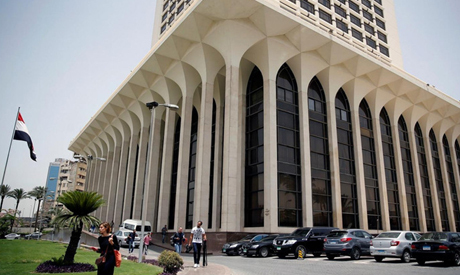 In a statement on Thursday, Egypt’s foreign ministry hailed the 11 March sentence for two men who were convicting of participating in the kidnapping and killing of Egyptian ambassador Ihab El-Sherif in July 2005. El-Sherif was kidnapped near his office by an armed group, and died four days later. He was the first Egyptian ambassador in Baghdad after the collapse of Saddam Hussein's regime, according to the Egyptian ministry’s website. An Al-Qaeda militant group led by Abu Musaab Al-Zarqawi claimed responsibility for the kidnapping and murder of the ambassador. “Egypt’s foreign ministry expressed its appreciation for efforts exerted by the Iraqi authorities…to deliver justice against two who participated in the crime,” the statement said, asserting its determination to continue in efforts aiming to retrieve the rights of all martyrs who sacrifice their lives for the nation.